- สามารถนำมาประกอบเป็นอาหารได้ หลายชนิดตามต้องการ เนื้อนุ่ม รสชาติดี หลายชาตินิยมนำไปรับประทานเช่น ไต้หวัน ญี่ปุ่น ในยูโรป และอเมริกาเช่นกัน สำหรับในประเทศไทยยังไม่นิยมแพร่หลาย แต่หากท่านใดสนใจลิ้มลองรสชาดของหอยทากก็เชิญเปิบได้ตามสูตรเด็ดล่างนี้!! In French culture, the snails are typically purged, killed, removed from their shells, and cooked (usually with garlic butter, chicken stock or wine), and then placed back into the shells with the butter and sauce for serving. Additional ingredients may be added, such as garlic, thyme, parsley and pine nuts. Special snail tongs (for holding the shell) and snail forks (for extracting the meat) are also normally provided, and they are served on indented metal trays with places for six or 12 snails. 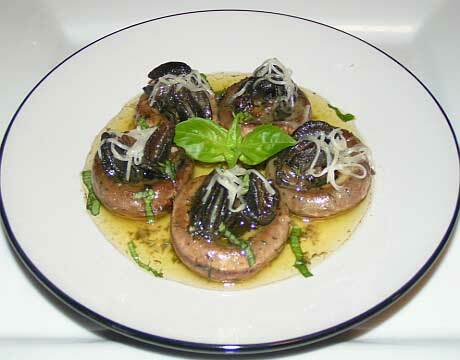 In Maltese cuisine, snails (Maltesesimmered in red wine or ale with mint, basil and marjoram. The snails are cooked, and served in their shells. 1/4 cup grated asiago cheese.